In 1904, after a number of shipwrecks off the North Down coast, it was agreed that a new Lifeboat station was needed. The existing facilities at Groomsport and at Cloughey could not cover the area completely. Situated near to the entrance to Belfast Lough and right beside the major shipping lanes, Donaghadee, with its beautiful harbour was deemed the ideal spot. A team of local businessmen along with many from the fishing industry and other boatmen set up a base and went about financing a Lifeboat station and a Lifeboat. On 10th July 1910 Donaghadee received her first Lifeboat, the “William & Laura”, a Watson Class with sails,10 oars and a 40hp petrol engine. It cost the princely sum of £3599 and during her time with the RNLI, she launched 61 times, saving 65 lives. 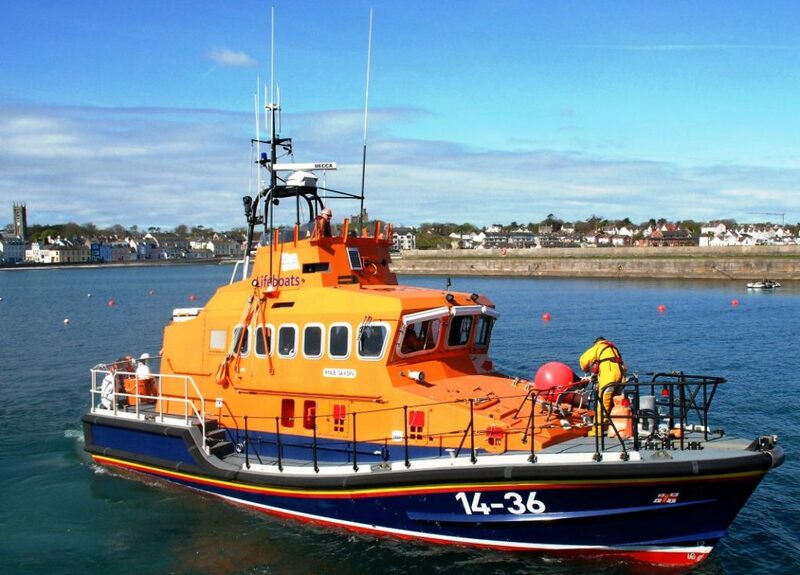 Nowadays, Donaghadee is home to one of the most modern Lifeboats in the world, a Trent Class, costing around £1.3m. There are no sails or oars but with a top speed of around 25 knots and an operating distance of over 100 miles, “Saxon” is equipped to carry out sea rescues in even the very worst of conditions, all over the Irish Sea and beyond. Lifeboats were historically manned by fishermen and local boatmen and so it was until recent times. With the almost demise of the fishing industry and the lack of experienced boatmen, our crews today are made up by men and women from all walks of life. The necessary training takes place in the Boathouse, on the Lifeboat itself and at our superb Lifeboat College in Poole in Dorset. Crews are trained to a very high standard in sea rescue and survival, fire containment, engineering, navigation and boat handling skills. 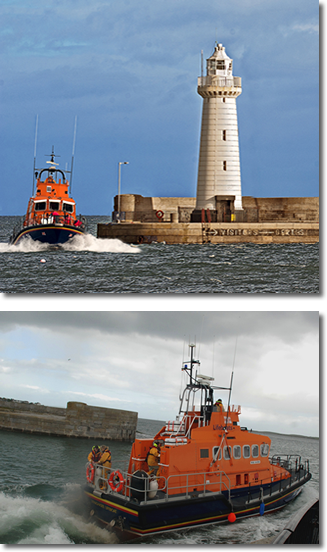 You can be sure that when a 999 call comes through to Donaghadee that a well trained crew in a modern fast Lifeboat will be on its way to you within minutes. 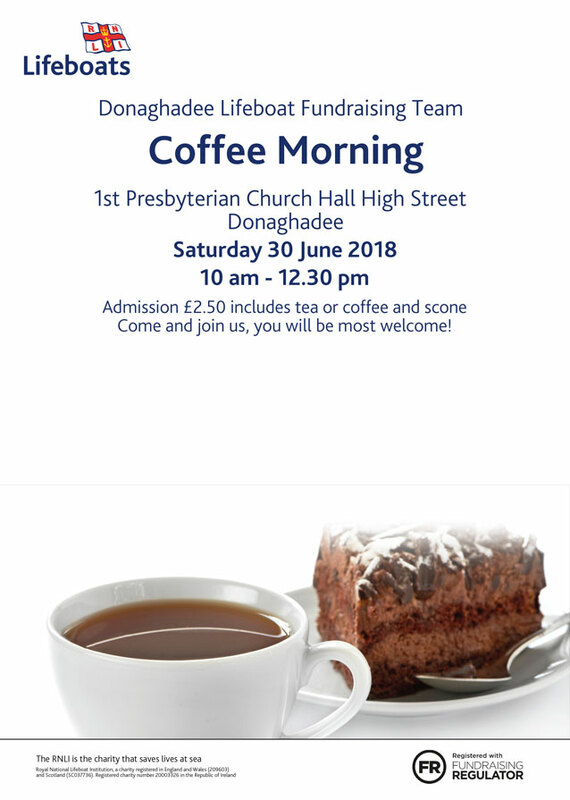 Why not come down and see us sometime! Developed by Ardnet Online Limited.